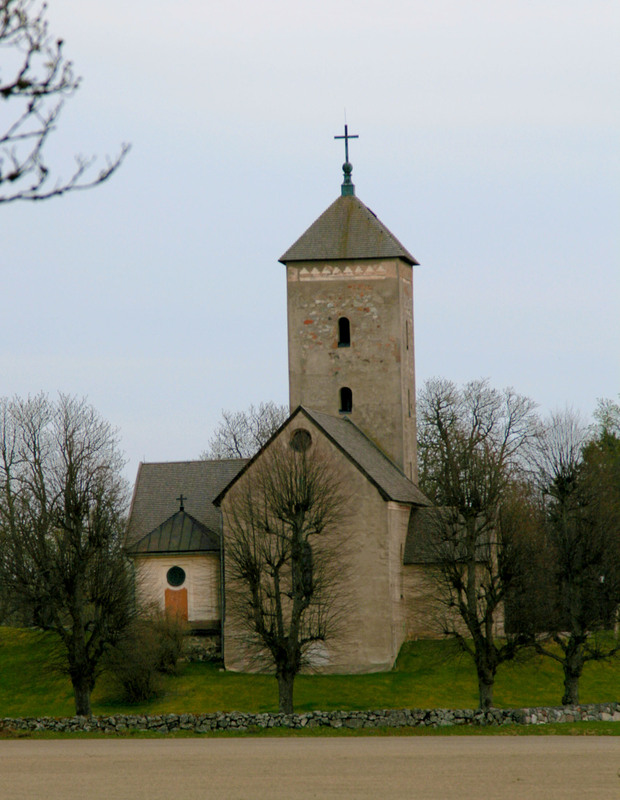 Skånela Church is one of the oldest in Stockholm county with the oldest portions dating to the 1160’s. The architect may have come from Sigtuna or possibly Lund, both places having considerable church construction during this period. He was very probably educated abroad, perhaps hailing from present day Germany. Skånela church subsequently served as a model for later churches in the area, its details showing that considerable skill and effort went into its construction. It may have been built by a local landowner, most likely the owner of nearby Skånelaholm Manor. The family apparently fell out of favor with the ruler, Birger Jarl when the church was confiscated and later (1276) mentioned as having been sold to Sko Abbey (today the parish church of Skokloster Castle. The church was expanded in the 14th century when a chaple and vestry were added. In the 15th century, the interior was decorated with frescoes depicting the Coronation of the Virgin. The tower was also raised two stories. During the 18th century, a burial chapel was added for a Swedish noble family. Fire has devastated the church on at least 2 occasions, in 1642 and 1806), but retains much of its medieval ambiance.